Performing and presenting both present similar challenges. We will explore this and more with Kim Le and Dr. Elliot Jones. They are preparing host their next performance, "Songs From Screens: Music from TV, Film & Video Games." Kim Le is an award-winning pianist from Orange County, CA. She has performed in recital halls across the country. She has both witnessed and faced stage fright countless times in her career. After the birth of her second son, Kim took a break from performance. She purchased Pacific Conservatory, a music school in the city of Orange where she had previously worked as a music instructor for over 15 years. 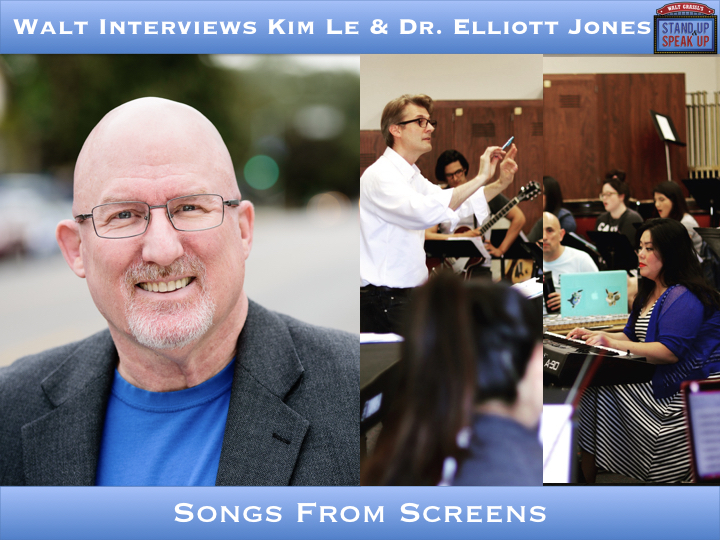 Dr. Elliott Jones has served as the Choir Director at Santa Ana College since August 2000. He has enjoyed performing in choral and musical theater productions since childhood. His current musical passion is exploring the music of contemporary entertainment, in particular soundtracks from anime and video games. When he's not working on an upcoming concert, or hanging out with his wife Holly and their three sons, he enjoys performing community musical theater and studying Taekwondo.